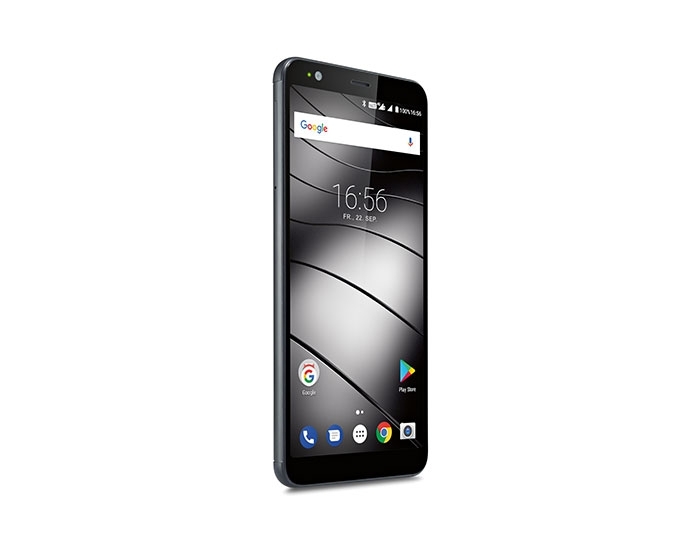 Gives you more – from the display to the features: the Gigaset GS370 smartphone. 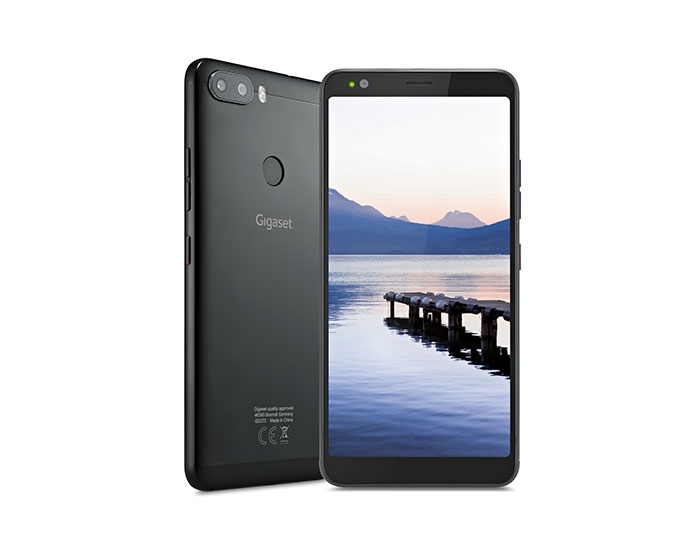 Look forward to a smartphone that sets standards in terms of features: The new Gigaset GS370 has an 18:9 HD plus IPS panorama display for vivid image rendering from any angle of view. 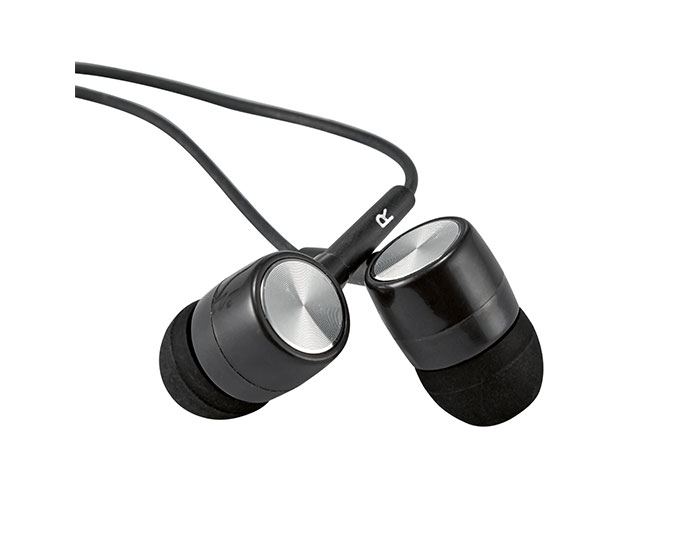 Thanks to the 2.5D glass, the display fits in seamlessly with the high-grade aluminum housing. 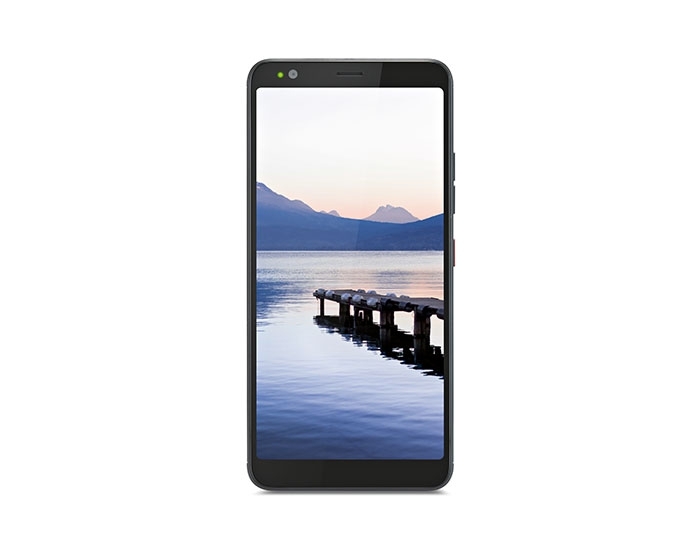 Apropos the panorama display, which is the optical and functional highlight, the GS370 offers dual-camera technology: The main camera combines a 13 megapixel camera with fast autofocus and an 8 megapixel wide-angle camera. 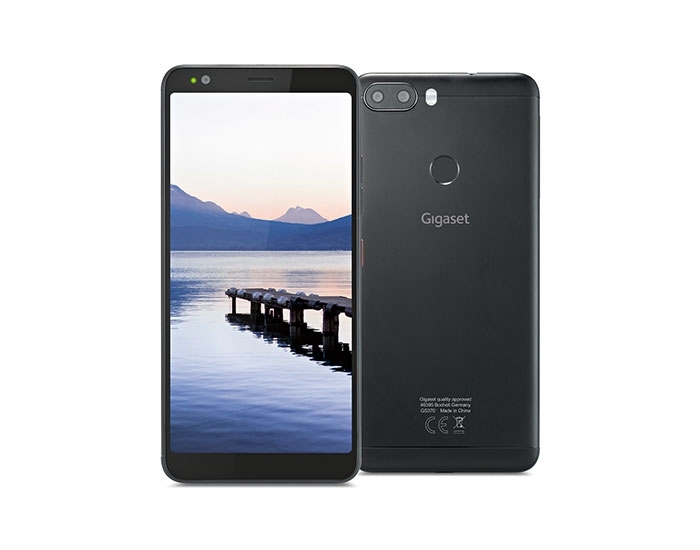 This high-quality yet affordable Android™ smartphone with a multifunction fingerprint scanner is available in two versions: as Gigaset GS370, and as Gigaset GS370 plus with more storage and an 8 MP front camera. Panorama view in cell phone format. 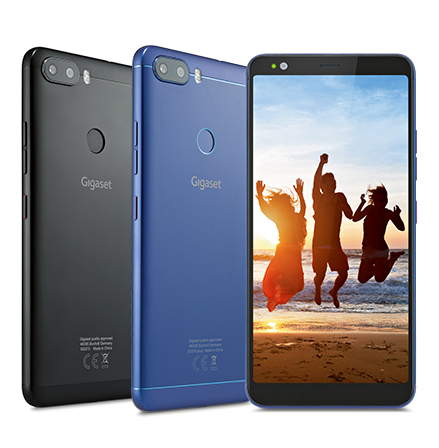 There is not many a smartphone that shows more in one view: The 5.7’’ HD plus IPS panorama display of the Gigaset GS370 covers an amazing 83% of the front of the smartphone. With a resolution of 1,440 x 720 pixels, it provides maximum ease of reading. And thanks to IPS technology, the rendering remains in sharp focus with high contrast and vivid colors at any angle of view. 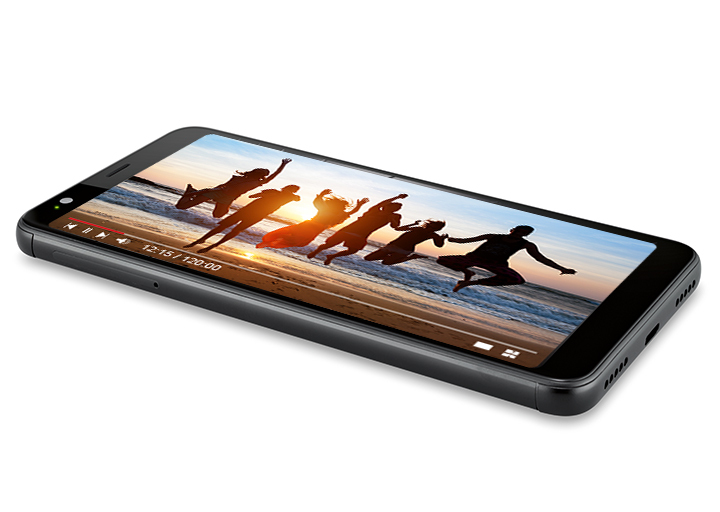 Protected by scratch-proof 2.5D glass with rounded edges, the display fits in seamlessly with the thin, lightweight aluminum housing. 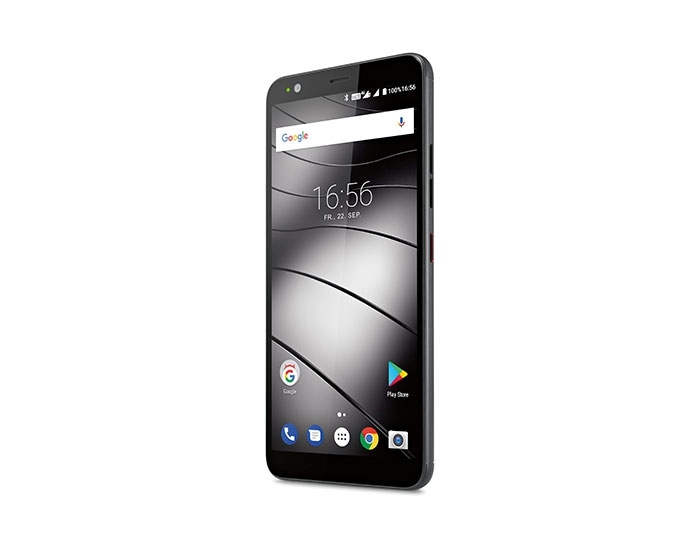 The anti-smudge effect of the glass significantly reduces the ability of fingerprints and dirt to stick – so the view on the panorama display always remains clear. 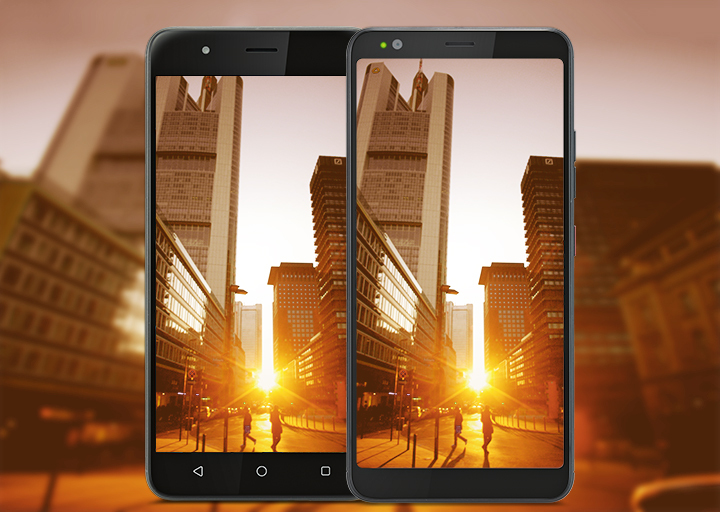 Everything you need for great photos: dual camera plus front camera. 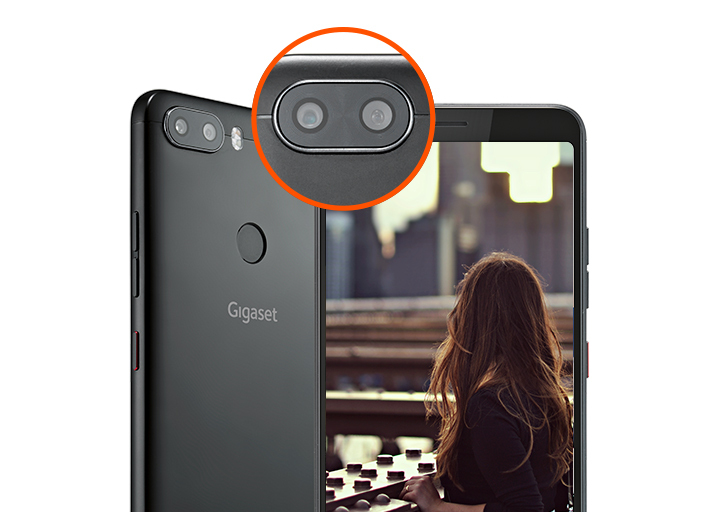 Anyone who likes to take photos will love the Gigaset GS370: It offers a dual camera as the main camera and a front camera in addition. 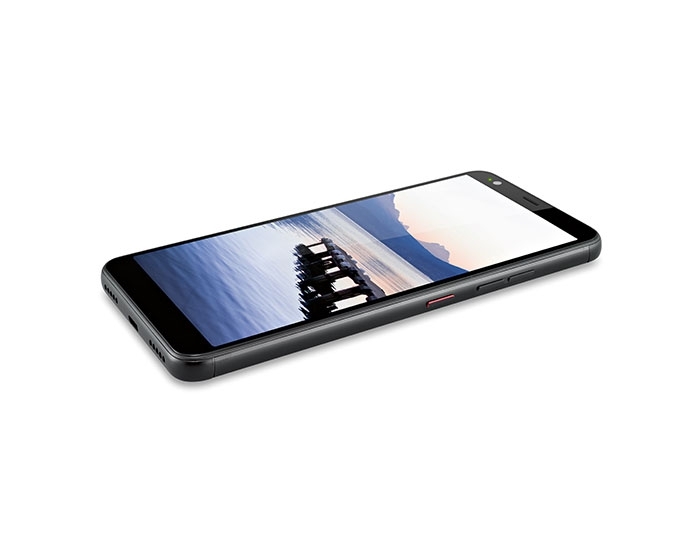 The dual main camera consists of a camera with 13 MP and phase detection autofocus (PDAF). Thanks to this technology, the camera focuses extremely reliably so that you will no longer miss a fast-moving subject. 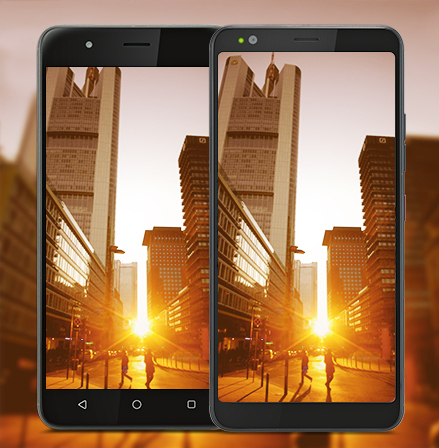 The second camera of the main camera has 8 MP and a 120° wide-angle lens – perfect for breathtaking panorama shots. 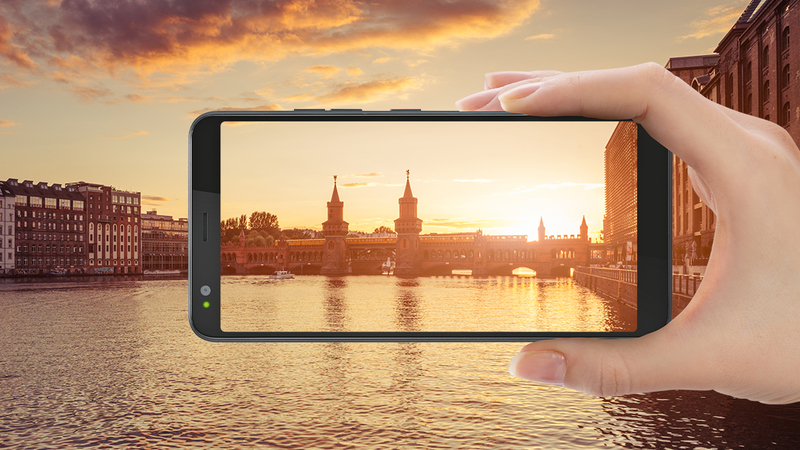 The GS370 offers another highlight for ambitious photographers: Thanks to the innovative bokeh effect, you can use the background blur systematically for image composition. 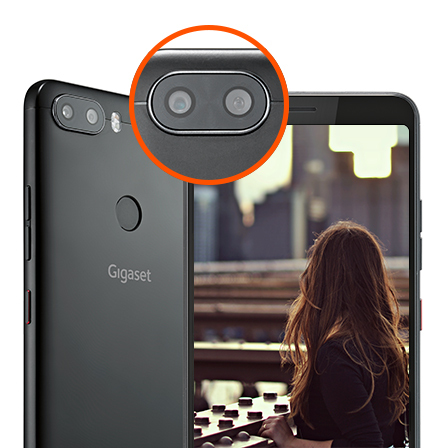 In addition, the Gigaset GS370 has a front camera with 5 MP (GS370) or 8 MP (GS370 plus) and a large selection of artistic effects – from the beauty mode up to picture-in-picture mode. Faster surfing – thanks to 4G LTE. 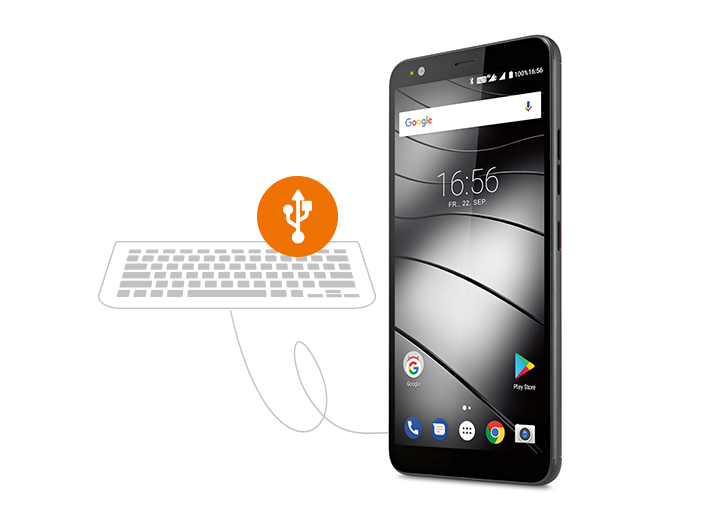 More convenience when surfing on your smartphone: The Gigaset GS370 supports fast 4G LTE Cat 6 data connections with up to 300 Mbps – perfect for sending and receiving large data packets even when you are on the move, or for streaming videos and TV series in HD. 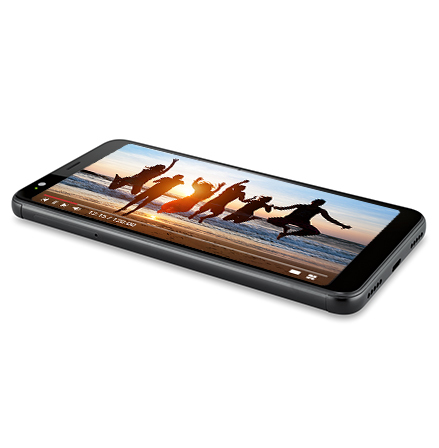 In line with this, the Gigaset GS370 comes with a fast, powerful Octa-Core 1.5 GHz processor. 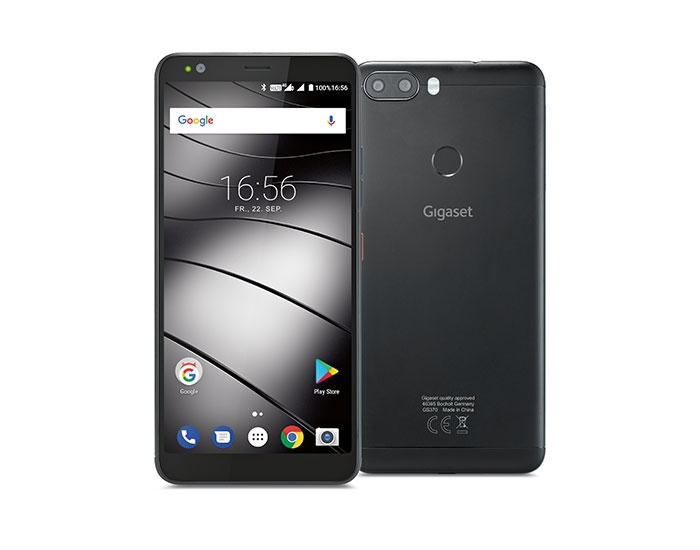 Additionally, the Gigaset GS370 supports Bluetooth 4.1 LE as well as 2.4 and 5 GHz WLAN. 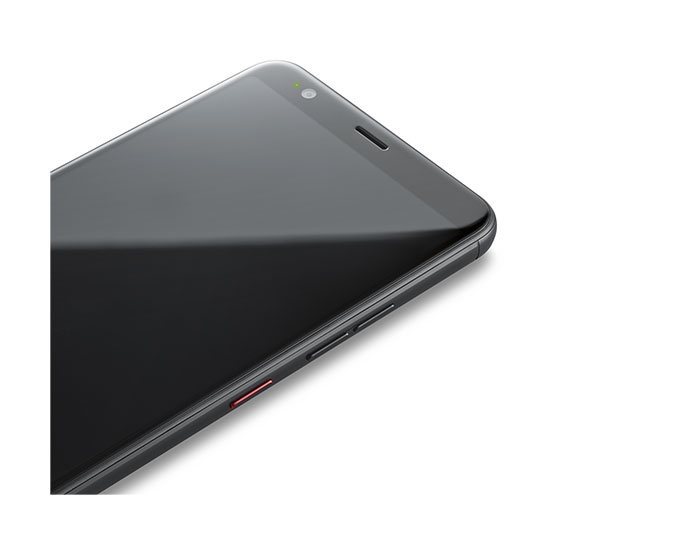 During calls, you also benefit from Voice over WiFi (VoWiFi)* and Voice over LTE (VoLTE)*. 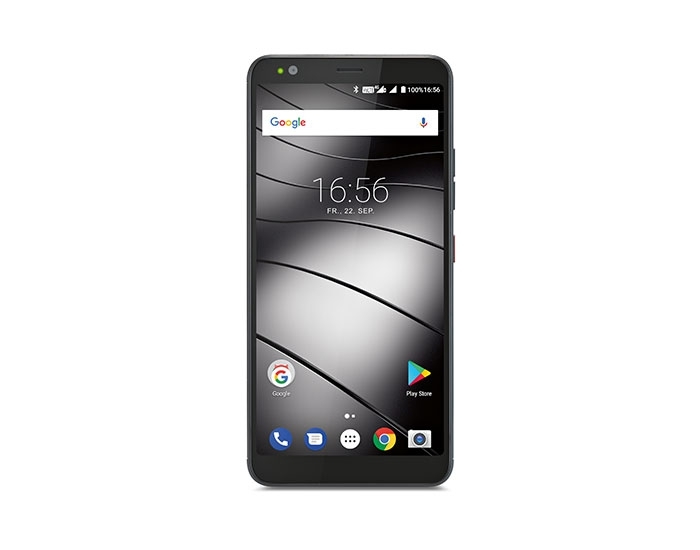 With Voice over WiFi, the telephone uses available WLAN networks to transmit voice calls at the highest quality. Voice over LTE (VoLTE)* enables voice transmission at the highest quality while the caller is moving. Connections are also established more quickly with both standards. *If supported by your network provider and your cell phone contract. 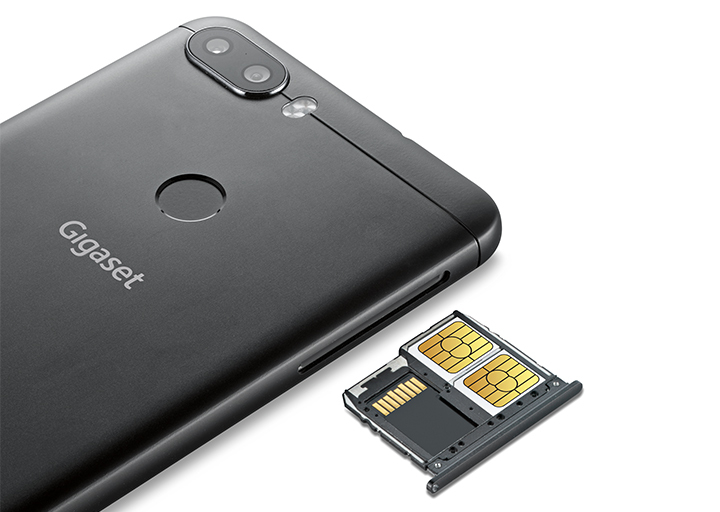 The three-card phone: Dual SIM and SD slot. 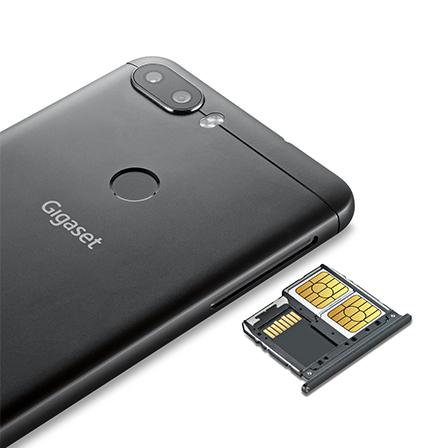 Thanks to its three slots, the Gigaset GS370 offers room for two nano SIM cards and also for one microSD card. 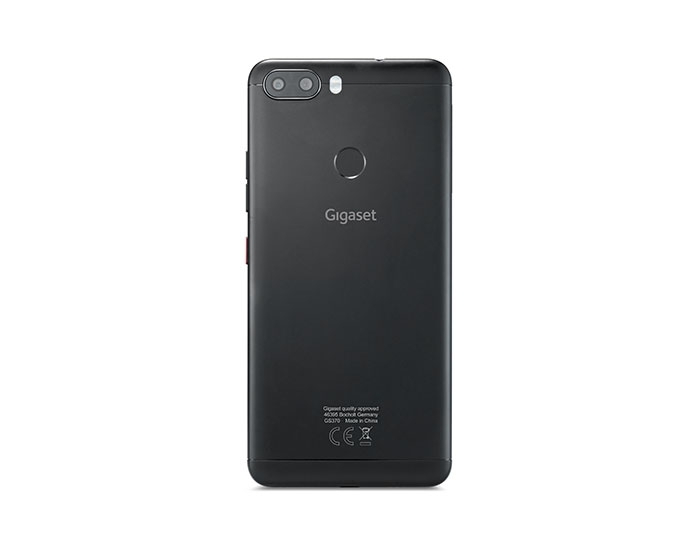 This way you can use your Gigaset GS370 simultaneously for work and private life. 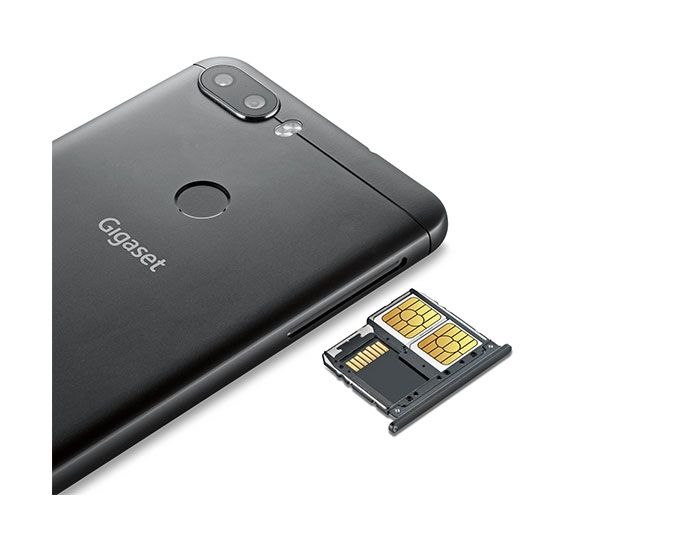 It is equally good as a travel companion: When you are on vacation, simply insert an additional SIM card for your destination country and save yourself the high roaming fees. In addition to these two cards, you can also use a microSD card to expand your phone’s memory up to 128 GB. Enough battery power for everything. 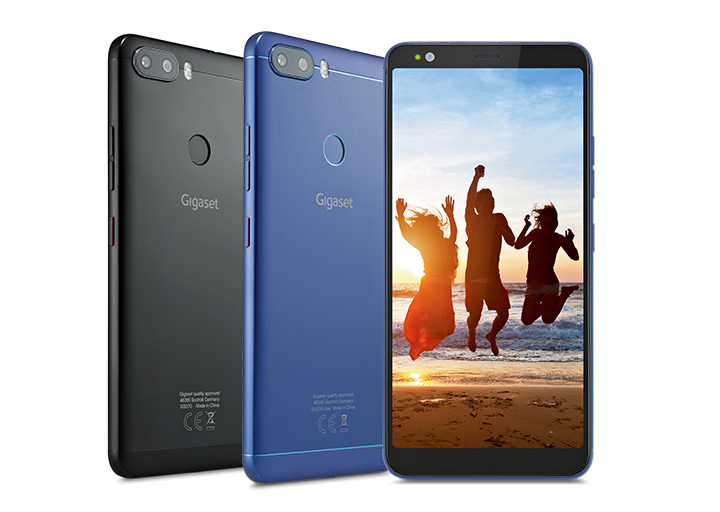 The Gigaset GS370 comes with a fast-charging lithium polymer battery with a capacity of 3,000 mAh. 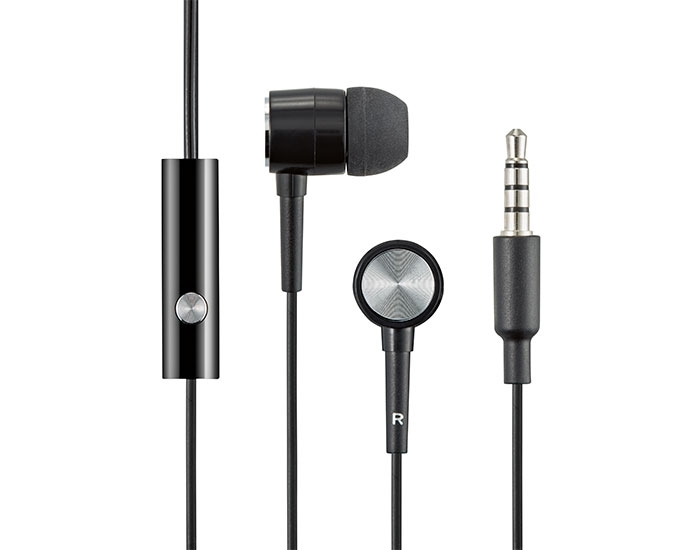 That gives you not only up to 450 hours of standby time or 67 hours of listening to music, but also USB on the Go (OTG). You can thus connect external USB devices such as USB sticks or keyboards, or use your smartphone as a power bank for other devices. 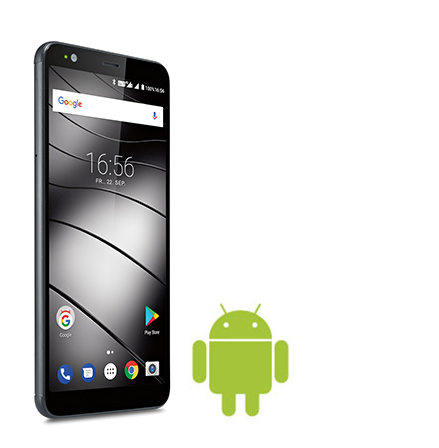 Convenience galore: Android™ 7.0 Nougat. 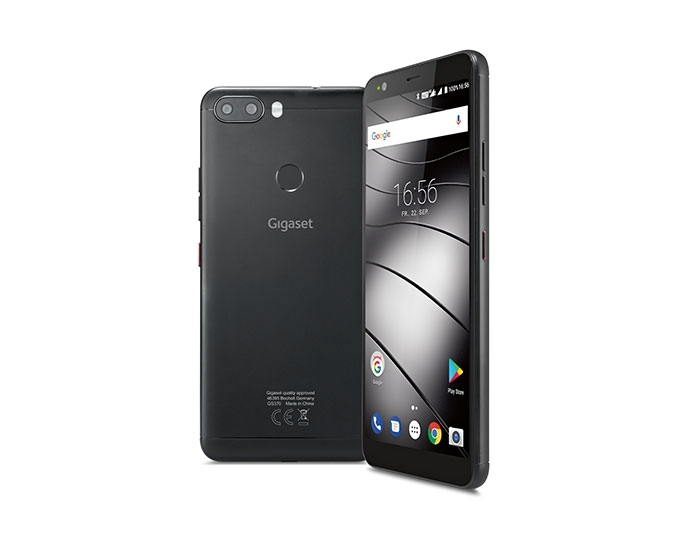 Convenient and intuitive operation: The Gigaset GS370 uses the current version of the Android™ 7.0 Nougat operating system. 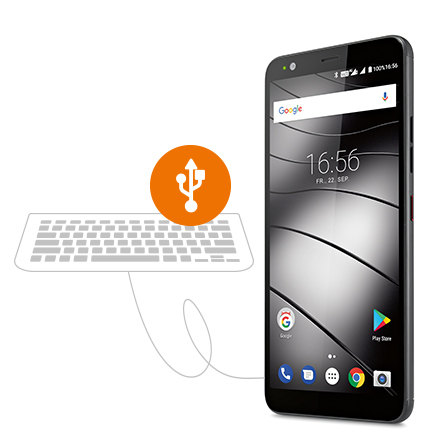 Enjoy the features such as enhanced voice control, share content with a single click using Direct Share, or run several apps simultaneously. Sophisticated energy management ensures longer battery life. 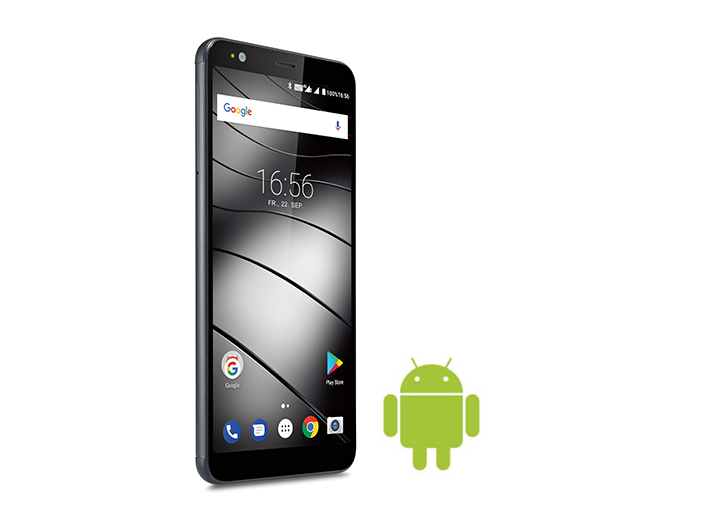 In addition, you have the option of upgrading your operating system to Android™ 8 Oreo to keep your smartphone always up-to-date.